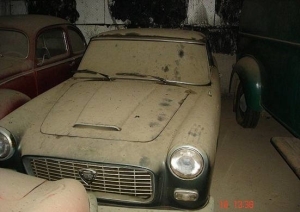 The FMVA wishes to advise members that if they have vehicles which were garaged some time ago, but which no longer physically exist because they were destroyed, lost, misplaced, cut up for parts, etc., that they have until the end of February to declare this with Transport Malta. Members are urged to go to Transport Malta with the relevant documents, a sworn statement (affidavit) that the vehicle no longer exists and also declaring when the vehicle was scrapped. If the vehicle was scrapped/destroyed before 2013 there is only a €10 administration fee to be paid in order to irrevocably scrap the vehicle. If your vehicle was scrapped/destroyed after 2013 there is a penalty of €100. We have been informed that Transport Malta will soon start carrying out random inspections of garaged vehicles and that after the end of February 2016, a €500 fine will be levied for any garaged vehicle that cannot be found.